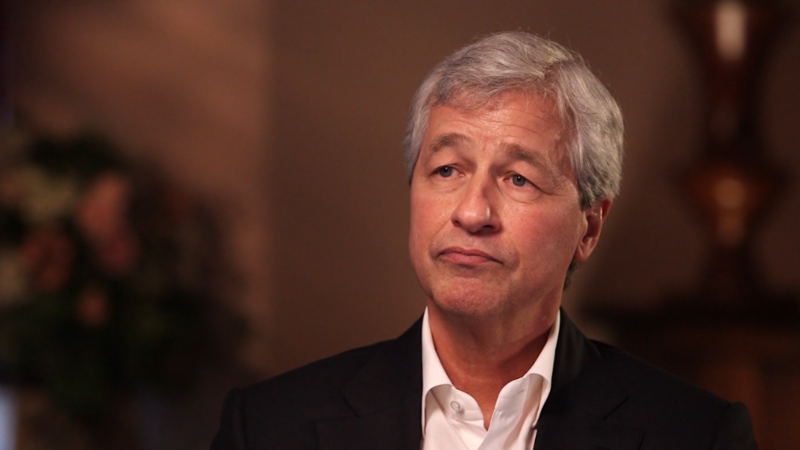 Jamie Dimon believes Washington's immigration deadlock is hurting America. In his annual letter to JPMorgan Chase (JPM) shareholders, Dimon, Wall Street's longest-tenured CEO, said, "We need to resolve immigration — it is tearing apart our body politic and damaging our economy." Dimon said immigration reform was "important both morally and economically," and outlined principles that he claimed most Americans shared: border control, a path to citizenship for two million undocumented Dreamers, and improving the country's merit-based immigration system. Immigrants who get an advanced degree in the United States should receive green cards, Dimon argued. And "law-abiding, hardworking undocumented immigrants" should have a path to legal status or citizenship. "People immigrating to this country should be taught American history, our language and our principles," Dimon said. Dimon, 62, has become a public face of Wall Street. He took over as JPMorgan's head in 2005 and helped steer the bank through the 2008 financial crisis. In January, Dimon announced that he plans to lead JPMorgan until 2023. In his letter, Dimon advocated for a broad US role in the world and warned against a trade war with China. "As a nation, we cannot isolate ourselves any more than we can stem the ocean's tide," he said. "The [international] system, built at great sacrifice, continues to serve our interests. It should be preserved and defended — ideally under strong U.S. leadership." Complaints against Chinese trade practices are "legitimate," Dimon said, but "anything that starts to resemble a trade war creates risk and uncertainty to the global economic system." The United States should define what it wants from China and lay out a timeline for the Chinese to meet it, Dimon said. He also called on the United States to "revisit the Trans-Pacific Partnership and fix the parts considered unfair." Dimon touched on a new health care partnership with Jeff Bezos of Amazon (AMZN) and Warren Buffett's Berkshire Hathaway (BRKA) to improve care for their employees. The United States has some of the best health care in the world, but also some of the highest costs and worst outcomes, Dimon said. He hopes JPMorgan, Amazon and Berkshire's joint venture will "possibly help inform public policy for the country." "The effort will start very small, but there is much to do, and we are optimistic." And he praised Congress and the White House's economic agenda. "Recent changes in the Us tax system have many of the key ingredients to fuel economic expansion," he said. The Trump administration was "taking steps to reduce unnecessary regulation." Although Dimon said the odds of a financial panic are low, he said many people were underestimating that the Federal Reserve "may have to take more drastic action" and raise interest raters faster than planned to stave off inflation.